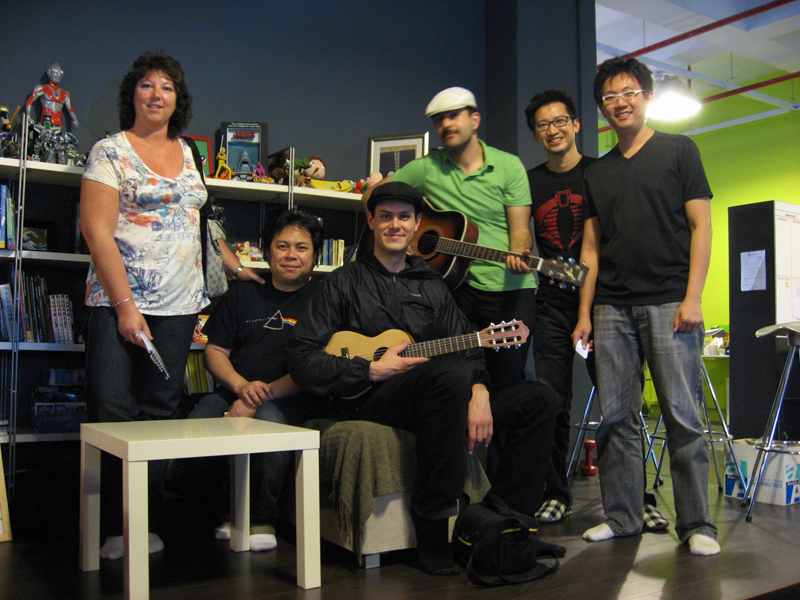 From left: Karen Moltenbrey (Computer Graphics World), Eric Alba (Stash DVD), Matt Lambert (Motionographer), Amid Amidi (Cartoon Brew), random Asian animation execs. 8 Jan – It was a brief visit organised by Contact Singapore, but still fun to meet these guys and just show them around the studio. Again, not much time to really sit down with the group to chat about animation, which I’m sure would have been a lot of fun. Hopefully we can do that in New York in a few weeks (at least with Amid and Matt who are based there). Probably need the presence of alcohol anyway. 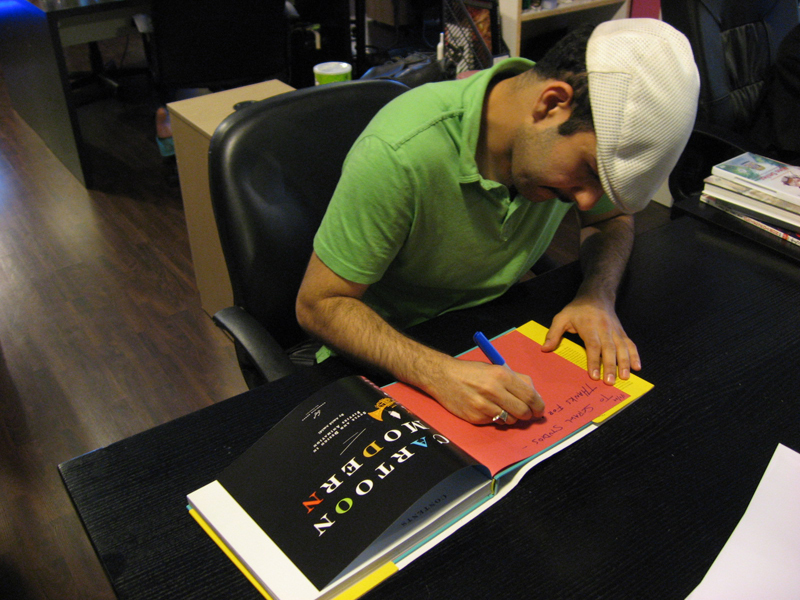 Amid autographing his book, Modern Cartoon, which happened to be lying around. This entry was posted on Tuesday, January 19th, 2010 at 3:27 pm	and posted in Friends. You can follow any responses to this entry through the RSS 2.0 feed.